Give Your Dog's Food a Superfood Boost! 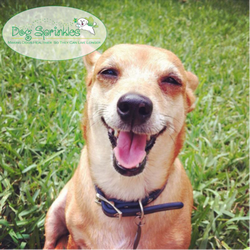 Give the food you already feed your dog a superfood nutritional boost with Dog Sprinkles. Dog Sprinkles is packed with antioxidants, omega fatty acids, complete proteins, trace minerals, chlorophyll, and essential vitamins necessary for your dog's health. Restore what is missing from your dog's food with a superfood blend of organic, whole food ingredients. 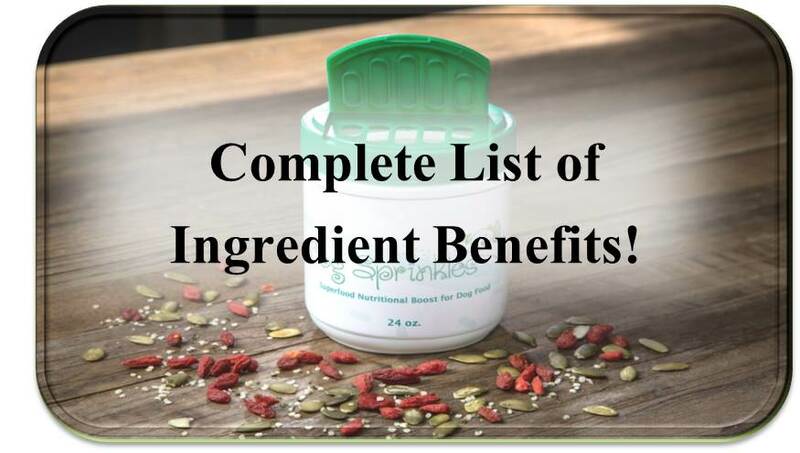 Dog Sprinkles is an organic and whole food based product which means your dog will be able to assimilate and absorb these nutrient-dense superfood ingredients at a significantly higher rate. 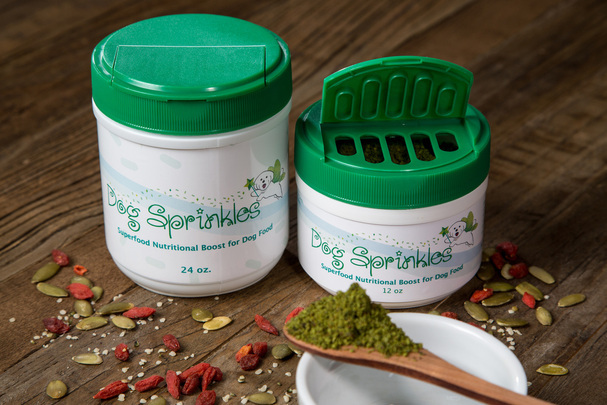 Dog Sprinkles may help promote cellular health and detoxification, reduce inflammation, increase flexibility and immunity, accelerate healing time, eliminate canine parasites, and improve your dog's coat, skin, breath, heart, and brain function. To use, simply sprinkle a few shakes on top of your dog's food, stir in or just leave on top, and turn everyday dog food into a nutritionally enhanced superfood meal.